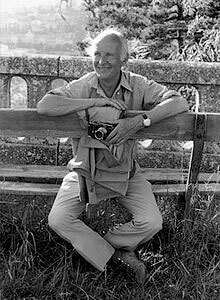 His technique: Cartier-Bresson almost exclusively used Leica 35 mm rangefinder cameras equipped with normal 50 mm lenses or occasionally a wide-angle for landscapes. He often wrapped black tape around the camera's chrome body to make it less conspicuous. With fast black and white films and sharp lenses, he was able to photograph almost by stealth to capture the events. No longer bound by a huge 4×5 press camera or an awkward medium format twin-lens reflex camera, miniature-format cameras gave Cartier-Bresson what he called "the velvet hand [and] the hawk's eye." He never photographed with flash, a practice he saw as "[i]mpolite...like coming to a concert with a pistol in your hand." He believed in composing his photographs in the viewfinder, not in the darkroom. He showcased this belief by having nearly all his photographs printed only at full-frame and completely free of any cropping or other darkroom manipulation. Indeed, he emphasized that his prints were not cropped by insisting they include the first millimetre or so of the unexposed clear negative around the image area resulting, after printing, in a black border around the positive image. Cartier-Bresson worked exclusively in black and white, other than a few unsuccessful attempts in color. He disliked developing or making his own prints and showed a considerable lack of interest in the process of photography in general, likening photography with the small camera to an "instant drawing". Technical aspects of photography were valid for him only where they allowed him to express what he saw: "Constant new discoveries in chemistry and optics are widening considerably our field of action. It is up to us to apply them to our technique, to improve ourselves, but there is a whole group of fetishes which have developed on the subject of technique. Technique is important only insofar as you must master it in order to communicate what you see... The camera for us is a tool, not a pretty mechanical toy. In the precise functioning of the mechanical object perhaps there is an unconscious compensation for the anxieties and uncertainties of daily endeavor. In any case, people think far too much about techniques and not enough about seeing." He started a tradition of testing new camera lenses by taking photographs of ducks in urban parks. He never published the images but referred to them as 'my only superstition' as he considered it a 'baptism' of the lens. Cartier-Bresson is regarded as one of the art world's most unassuming personalities. He disliked publicity and exhibited a ferocious shyness since his days in hiding from the Nazis during World War II. Although he took many famous portraits, his own face was little known to the world at large (which presumably had the advantage of allowing him to work on the street in peace). He dismissed others' applications of the term "art" to his photographs, which he thought were merely his gut reactions to moments in time that he had happened upon. 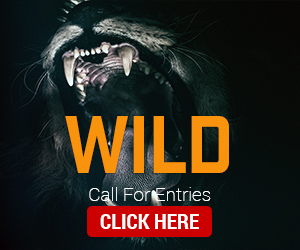 "In photography, the smallest thing can be a great subject. The little human detail can become a leitmotiv." Henri Cartier-Bresson’s work embraced art, politics, revolution, and war. But more powerful than any of these overarching themes was his evident concern for the human individual at every social level. This lavishly illustrated monograph—published to accompany France’s first major retrospective since the photographer’s death in 2004—traces Cartier-Bresson’s development as a photographer, activist, journalist, and artist. In addition to some of Cartier-Bresson’s best-known photographs, included here are many seldom seen or unpublished images and some rarities in color as well as black-and-white. 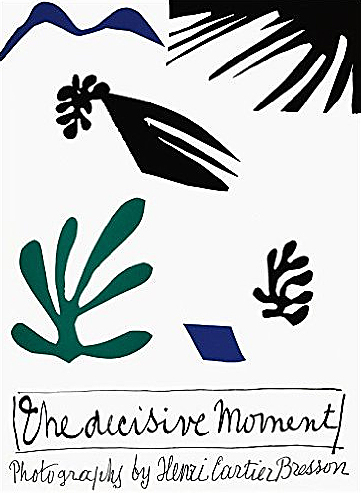 The Decisive Moment originally titled Images à la Sauvette-is one of the most famous books in the history of photography, assembling Cartier-Bresson's best work from his early years. Published in 1952 by Simon and Schuster, New York, in collaboration with Editions Verve, Paris, it was lavishly embellished with a collage cover by Henri Matisse. The book and its images have since influenced generations of photographers. 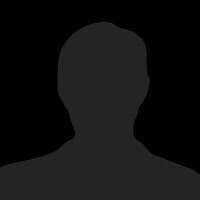 Its English title has defined the notion of the famous formal peak in which all elements in the photographic frame accumulate to form the perfect image. Paired with the artist's humanist viewpoint, Cartier-Bresson's photography has become part of the world's collective memory. This new publication is a meticulous facsimile of the original book. It comes with an additional booklet containing an essay on the history of The Decisive Moment by Centre Pompidou curator Clément Chéroux. 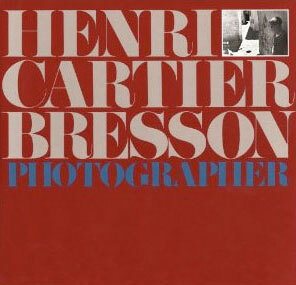 Henri Cartier-Bresson (1908-2004) is one of the most influential and beloved figures in the history of photography. His inventive work of the early 1930s helped define the creative potential of modern photography. Following World War II, he helped found the Magnum photo agency, which enabled photojournalists to reach a broad audience through magazines such as Life while retaining control over their work. Cartier-Bresson would go on to produce major bodies of photographic reportage, capturing such events as China during the revolution, the Soviet Union after Stalin's death, the United States in the postwar boom and Europe as its older cultures confronted modern realities. Published to accompany an exhibition at The Museum of Modern Art, this is the first major publication to make full use of the extensive holdings of the Fondation Cartier-Bresson-including thousands of prints and a vast resource of documents relating to the photographer's life and work. 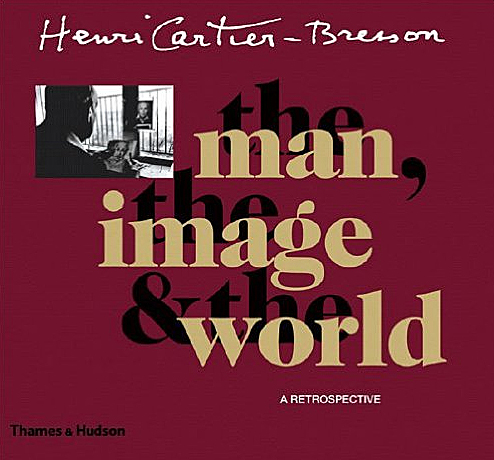 Henri Cartier-Bresson was one of the finest image makers of our time. 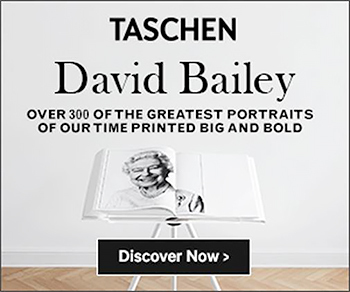 His extraordinary photographs were shaped by an eye and a mind legendary for their intelligent empathy and for their unerring ability to get to the heart of the matter. 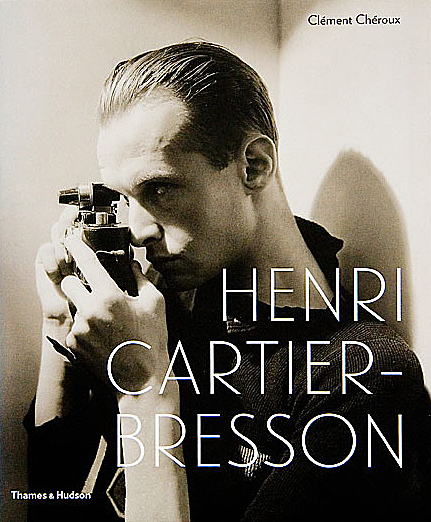 This sumptuous collection of work by Cartier- Bresson is the ultimate look at his achievements. 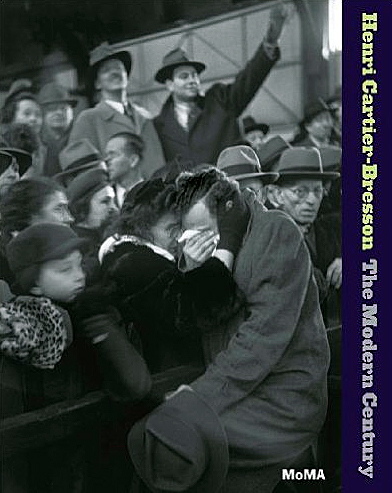 The book brims with classic photographs that have become icons of the medium, as well as rarely seen work from all periods of Cartier-Bresson's life, including a number of previously unpublished photographs and a generous selection of drawings, paintings, and film stills. 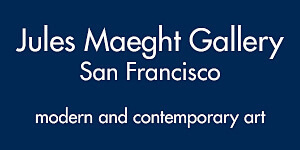 The book also features telling personal souvenirs of his youth, his family, and the founding of Magnum. This definitive collection of a master photographer's work will be an essential book for anyone interested in photography—indeed, for anyone interested in the people, places, and events of the past century. 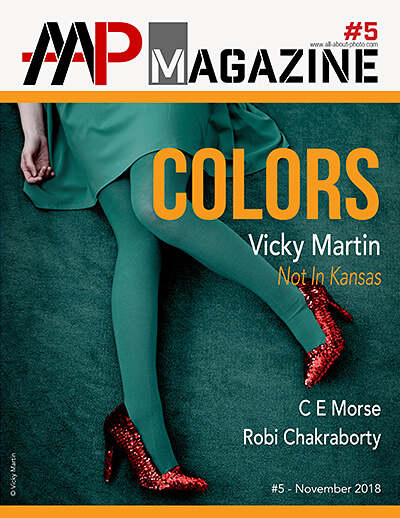 600+ photographs in color and duotone. For more than 45 years, Henri Cartier-Bresson's camera has glorified the decisive moment in images of unique beauty and lyrical compassion. From the cities of war-torn Europe to the rural landscape of the American South, this retrospective volume shows the lifework of a legendary photographer.  155 duotone illustrations.